The theme of the video are Slovenian tandem Eclipse and their preparation foe the preformance. 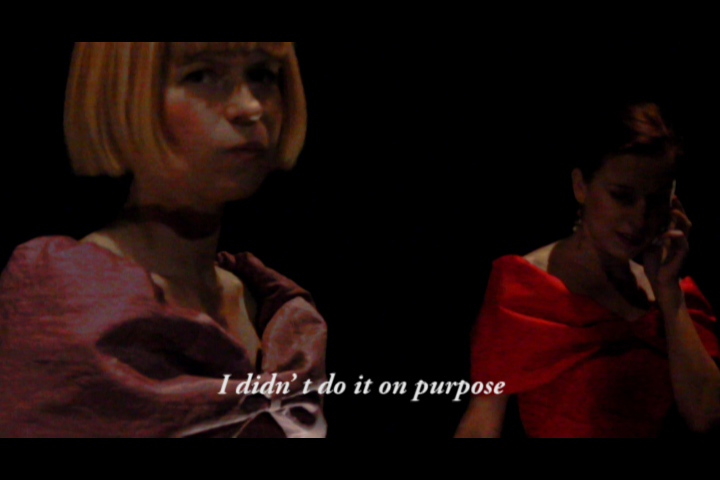 The video was relised specificlly for Femlink.org as a portrait of chosen slovenian female artist. Video is of their preparation for the preformance. What I wanted to capture was the time before or better the time in between the reality of two everyday individuals to transformation in to an artistic tandem and in to art personas.